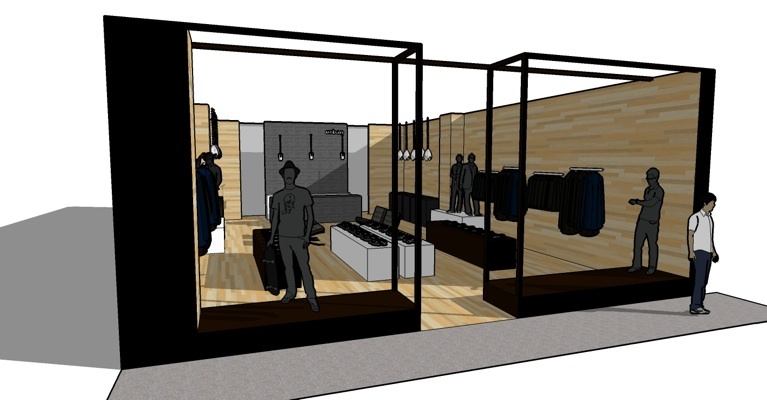 This project consisted of creating a space for a boutique specializing in modern attire for men. The space is inspired by the clothing and the concept of the target clientele described as Urban Hunters. Since most of the collection uses black,the proposed space uses a lot of natural wood on the floor and the walls, providing a nice contrast to the clothes and accessories. The design of the space is minimal like the clothes but provide a nice rough texture contrasting the very controlled and tailored look of the items. The use of rough materials such as wood, concrete, and metal give the space a masculine feel.